Magic has a price in "Spring Fling", a romance story about two lovers both named Carson and their stolen destiny. My novella is available in the spring-themed magical romance anthology, Crazy Little Spring Called Love. A chance meeting of two people unaware of their destiny results in an unbreakable bond, but even duty has it's boundries. Will love help them break free-and will love be enough? 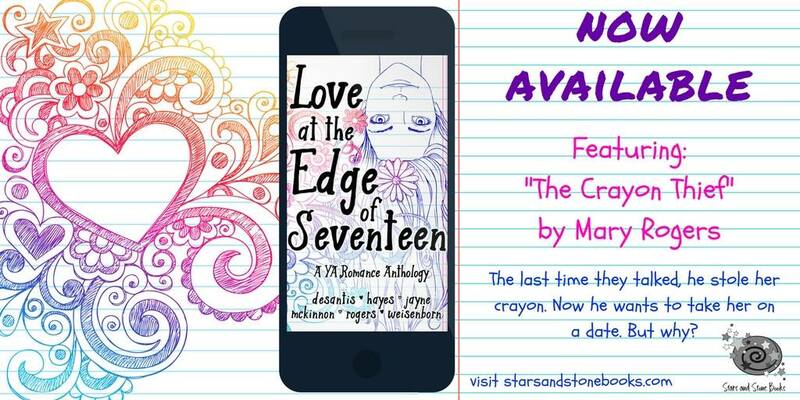 "Love at the Edge the Seventeen"
The last time they talked, he stole her crayon now he wants to take her on a date but why? Get your romance fix with my short stories and novellas. Purchase them on Amazon, iBooks, Kobo, and Nook.